That clutch is absolutely gorgeous! wow that dress is unbelievably pretty! That dress is so fantastic. I love the brightness mixed with the lace. i ADORE this dress, taylor! can't wait to see you in it!! most amazing, unique color! 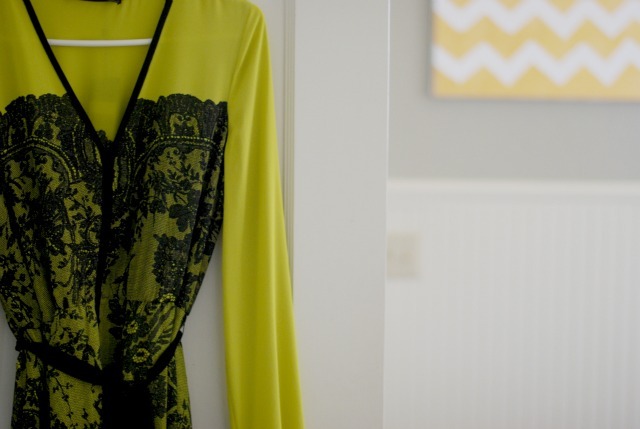 the dress...love the combination of the black lace with the bright color! curious to see how you'll style it. Love the dress and the clutch!! Great pops of color! My eyes went immediately to the chevron print in the background of the first photo. Lovin chevron these days. bright and bold. i love it. Yay to neons! That dress is seriously amazing! That dress is amazing. 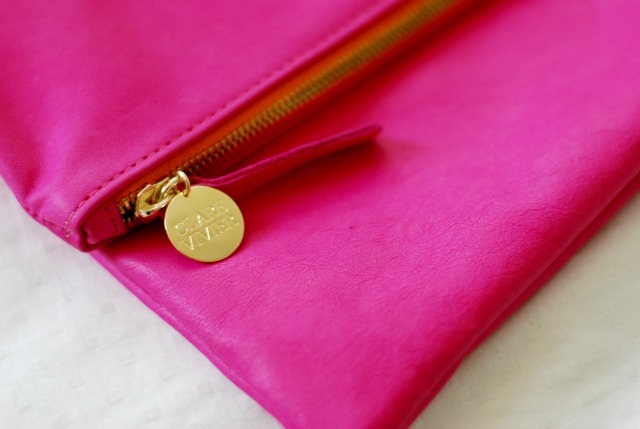 I am craving a Clare Vivier clutch so bad! Both items are exquisite. You must save them for a very special occasion. So bright and cheery! I love that clutch. That BCBG dress is incredible. The dress is such a lovely color! Gorgeous pairing! Thanks for the happy dose of color! Gorgeous colours. That dress looks stunning. Wow, that dress is amazing. The color is great because its perfect for summer and fall!